In this month’s video, I will discuss some of the major headlines that influenced markets in February. I will also provide insight into what these developments could mean for you as an investor. If you have any questions or concerns about your portfolio after watching this video, or would like a second opinion, please don’t hesitate to reach out to us. You can send us an email, or give us a call at (419) 425-2400. We would be happy to talk with you. Last week, the NASDAQ posted an eighth straight week of gains for the first time since 2010. 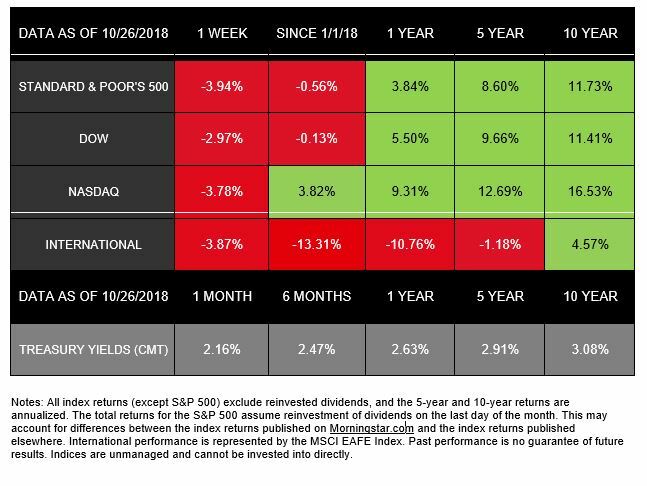 Though late last week we saw minor losses in the other major indices, the market has held on strong since its post-Brexit boom. For the week, the S&P 500 lost 0.01%, the Dow fell 0.13%, the NASDAQ gained 0.10%, and the MSCI EAFE lost 0.64%. 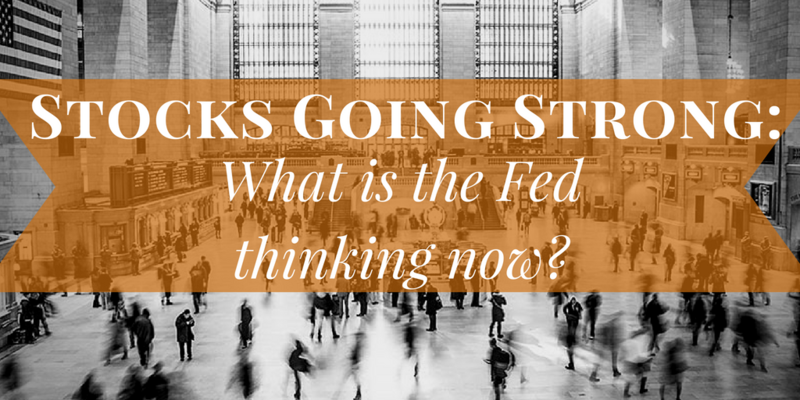 With the market’s stellar performance as of late, we can’t help but ask, what is the Fed thinking? Minutes from the July Federal Reserve Open Market Committee meeting showed that officials are split about the economic outlook and when to raise interest rates. Hawkish rhetoric from Fed members who favor a rate hike soon could push the central bank into raising rates as early as September. More dovish officials aren’t convinced that tepid inflation will rise to the Fed’s 2.0% objective and favor a wait-and-see approach to raising interest rates. While a few years of outsized growth sounds nice after the years of slow expansion we’ve experienced, the economic consequences that might follow wouldn’t be pleasant at all. That’s why central banks like the Fed act to smooth out these economic cycles by lowering interest rates when times are tough (boosting investment through cheap credit) and raising them when growth picks up again (curbing excessive optimism by making credit more expensive). The timing of rate increases is tricky, and the macroeconomic relationships that govern these decisions are complex and open to interpretation. This explains why some of the best economists in the world can’t agree on when to pull the trigger. Which group will win out? Since the Fed has been reluctant to jump the gun on interest rates, we don’t see a rate hike coming next month. However, the Fed might decide to surprise us. Currently, Wall Street traders judge the odds of a September hike at just 18.0%. 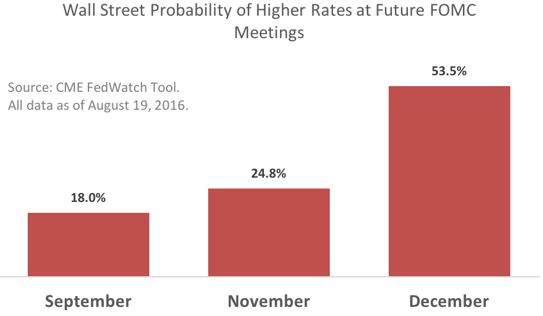 However, traders think the Fed is likely to raise interest rates in 2016, judging by December’s rate probabilities. Will the Fed move soon? We’ll keep you informed. This week is packed with economic data that will show us how the housing and manufacturing sectors are doing. We’ll also get a second look at second-quarter economic growth in Friday’s Gross Domestic Product report. Stay tuned for next week’s update.